Everything else we work on along with the main restorations. 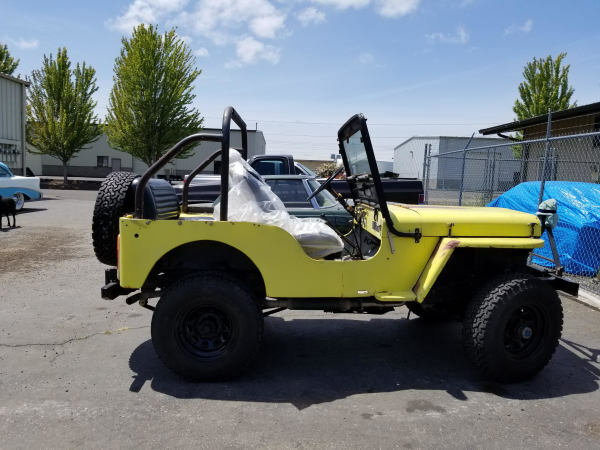 Rust repairs and a new paint job soon for this Willys! 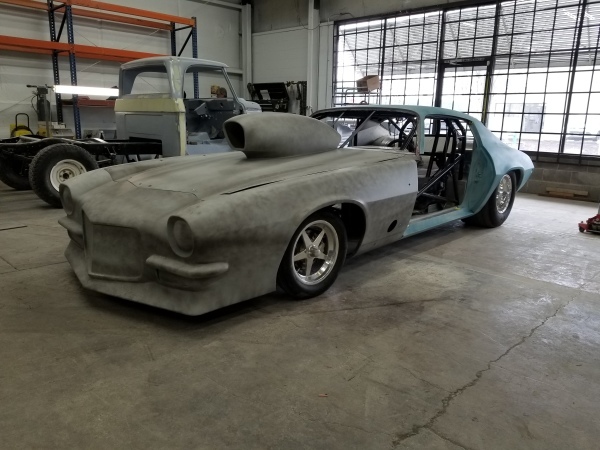 The drag car is moving towards a new paint job! A collision job with lots of damage down the passenger side of the vehicle and broken rear suspension. 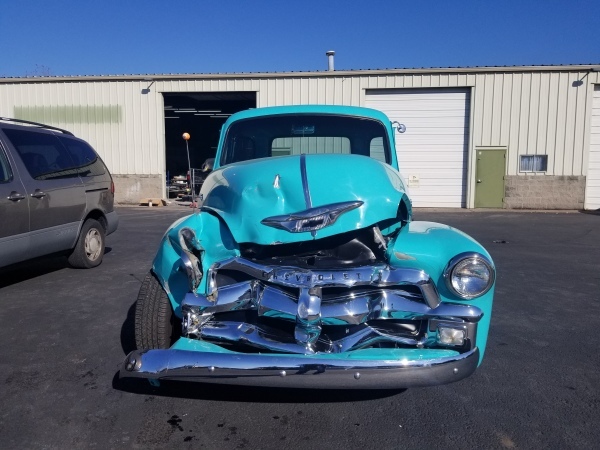 An accident has brought this back to our shop where it was first built 16 years ago. A Steib sidecar added to a BMW motorcycle with matching paint. An original paint survivor car here for collision work to the left quarter panel fender. Chassis & engine are done, full body restoration in progress. Another unfortunate accident nearly totaled this truck. Coming soon! Currently awaiting an Art Morrison Enterprises chassis. This Mustang is here for a complete tear down and rebuild. Click here to see progress photos. 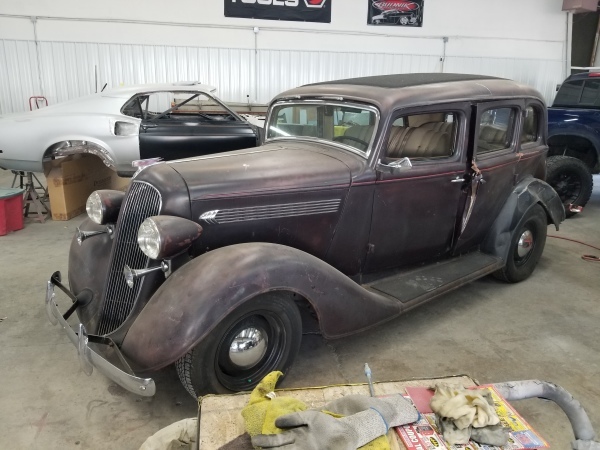 An original lacquer paint car that is needing some much needed love. This Dodge is here for a complete tear down and new paint, with a few upgrades. It is in amazing shape for its age, very little rust to be repaired.